Game Informer has some details on the expansion, including the fact that the story is divided up into to halves; the first of which features no combat, relying on the player to explore and investigate your surroundings, and will be releasing later this year for $15. This was done most likely in response to the folks who actually think Bioshock Infinite would be better without combat. Check out Game Informer’s preview for more details. While I’m not exactly jazzed about revisiting old ideas, the tone set by this trailer is pretty neat. Very noir in tone (even if true noir was set in the 1940’s). But then again, doesn’t visiting Rapture before everything went to hell kind of ruin the mystique of the first game? And if combat is your bag, Irrational has got you covered. Releasing later today is the Clash in the Clouds arena for $5, which pits Booker against wave after wave of goon. What do you folks think? 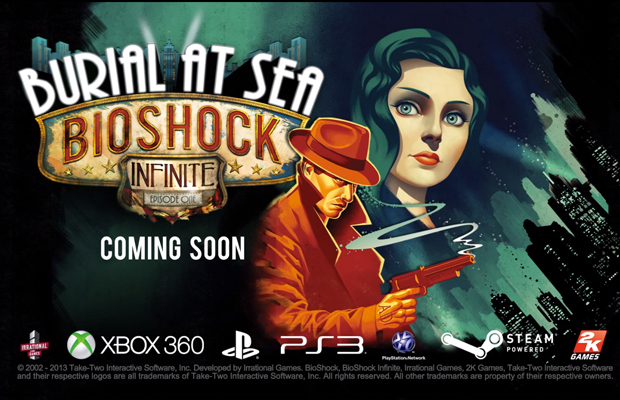 Excited about revisiting the world of Bioshock Infinite, or does romping around Rapture again sound like the worst?